A few months ago, I posted about my experience with the Star People- which is the name given to me by the beings of light that began to show up during my meditations around the time I experienced the frequencies of Reconnective Healing. I promised to write more about them, but I wasn’t yet ready to talk about this subject. As you may have guessed, my decision to ignore it did not make it go away. My aim is to try to keep this short, so if you’d like to read that post and get some background information on my initial encounters with these beings, click here. When you open up to your abilities, you have to remember that the ‘other side’ is only one dimension, and that there are many others you can access. Not only that, but once you are open, other beings will see your light as a beacon and will reach out to you, so be careful what you ask for because you just might get it. Their wisdom is a bit different from what I’ve heard from the beings I’ve identified as my Spirit Guides, but only in their presentation and perspective. Here are three key concepts that have been given to me to share with everyone. 1. Transformation ONLY takes place in the Darkness. ‘Seeing the light’ can only happen if one is immersed in darkness. All of the depictions in movies and television shows of people who finally turn their lives around or realize the true meaning in something seem to imply that the light is what transforms them. This is not so. The true transformation never happens in the light. It happens in the dark. I was told, “Darkness is not only the absence of light, and it is not evil.” The first part talks about the things that happen in the dark that happen at no other time. Our bodies repair and rebuild when we sleep, and we sleep when it is dark. There are a variety of flowers that bloom only in the moonlight. The second part deals with our own narrow-minded judgement of what is good and what is bad. When things are their worst, we call it the dark night of the soul, and it is here that the real growth or ‘transformation’ happens. A caterpillar is most likely uncomfortable, somewhat fearful and unsure about the changes happening as it rests in the darkness of its cocoon, but it is within that darkness that it is transforming into a beautiful butterfly. 2. All things in the Universe are in perfect Harmony. 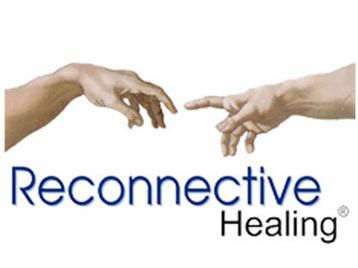 When I asked them why they wanted to help us and why they were sending us the gift of Reconnective Healing, their answer was this. “Why do you seek to save certain animals like the Bear?” I answered that all of the animals are a part of the web of life, and play a role in our ecosystem. And that was their answer. We, humans, are a very important part of the fabric of the cosmos. Our environment threatens our very existence- be it through our own fault or otherwise. The absence of our people and the life that exists here would send a ripple throughout the cosmos. It is as I’ve always told my clients- one soul makes a difference. You matter. It is a truth, even if you may not have a context with which to understand it. This is another example of the concept of oneness, and the importance of each and every thing you see around you, be it good or bad in your own estimation. 3. Time and Space are the same thing. To illustrate this, they gave me the example of a destination. In order to get to that place it would take x amount of time, so the distance between the two locations was equal to the amount of time it would take to travel there. I don’t know how to quite explain this one, but it seems to have something to do with the fact that we’ve been hearing that time is speeding up. If space and time are the same, then time speeding up means that space is also being affected. What if the spaces in between matter are getting smaller? If the spaces between everything are getting smaller, then everything is moving closer together, and the energy is being compacted. I’m no scientist, but if that’s the case, I’m sure it has a lot to do with the shift on the planet at this time, and why so many of us are much more aware of our spirituality than before. ~ by healingstarspirit on April 20, 2011.